(MoneyWatch) Samsung's Galaxy S4 smartphone may have garnered all the headlines in recent weeks, but Apple (AAPL) retains one key advantage over its rival: The iPhone is far cheaper to make. 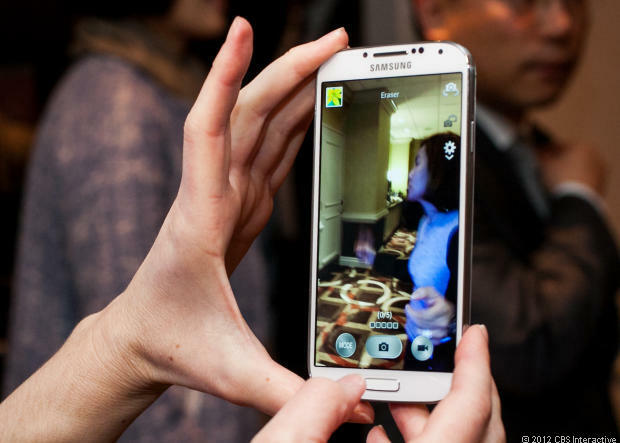 A new estimate by HIS iSuppli suggests that the new Samsung Galaxy S4 is one expensive phone compared to the iPhone. That means Apple will have more profit and, as a result, more money available from the smartphone business for innovation, marketing, support and price competition. According to a previous teardown by iSuppli, the lowest-end Apple iPhone 5 with 16GB of storage costs $196 to manufacture, including materials. The cost for the 32GB version is estimated at $217, while the 64GB version runs $238. IHS acknowledges its estimate of the manufacturing costs for the Galaxy S4 isn't definitive and notes that it could change after the firm actually takes the device apart. Yet this preliminary estimate suggests the company's costs for the S4 are significantly greater than for the S3, which cost $213. "Although [the S4's] hardware is not radically different from the Galaxy S III introduced in April of 2012, the Samsung Galaxy S4 includes some critical component updates that enhance its functionality as well as its BOM cost," said Vincent Leung, senior analyst for cost benchmarking at IHS, in a statement. "Among the upgrades are a larger, full high-definition display; a beefed-up Samsung processor; and a wealth of new sensors that set a record high for the number of such devices in a smartphone design." Samsung's higher costs to Apple's advantage, whether in keeping stable prices for carriers, funnel money back into future product development or marketing the iPhone.